At Palola Dental, we make it our mission to ensure our patients have healthy, beautiful smiles. Tooth loss caused by serious dental problems can cause other issues, including difficulty eating and speaking, and lowering your self-esteem. We don’t want to see you suffer from the effects of tooth loss, so we provide several tooth replacement options for the people of the Waipahu and Mililani areas. One of these replacement options is dentures. Dentures are removable devices used to replace missing teeth. This dental technology has been used for years, and has given patients suffering from tooth loss a positive way to restore functionality and aesthetic appearance. Dentures might not be the exact same as a patient’s natural teeth, but modern dentures are now more comfortable and attractive than ever. Traditional Dentures: This popular choice among patients allows versatility while restoring the teeth. Our traditional dentures are custom-made for each patient, ensuring the best functionality, fit, and appearance. Implant Supported Dentures: Dental implants consist of small titanium rods placed in the jaw to act like the roots of a tooth and anchor other dental devices. The insertion in the jaw provides a secure, permanent denture that won’t slide or shift. All-On-4: You don’t need an implant for every one of your teeth. All-On-Four is a brand-new technology that uses four dental implants to secure all of your top or bottom teeth. 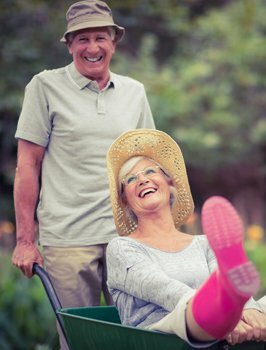 Implants are placed by a specialist, and our office will permanently place your denture. Contact Your Cosmetic Dentist in Waipahu and Mililani Today! Do you have questions about our dentures? Call us and we will get back to you as soon as possible. 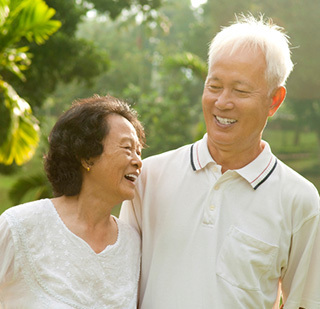 If you are interested in dentures or any other cosmetic dentistry service, call us at (808) 678-3000 to schedule an appointment with your Mililani and Waipahu dentist. We’re excited to talk to you!